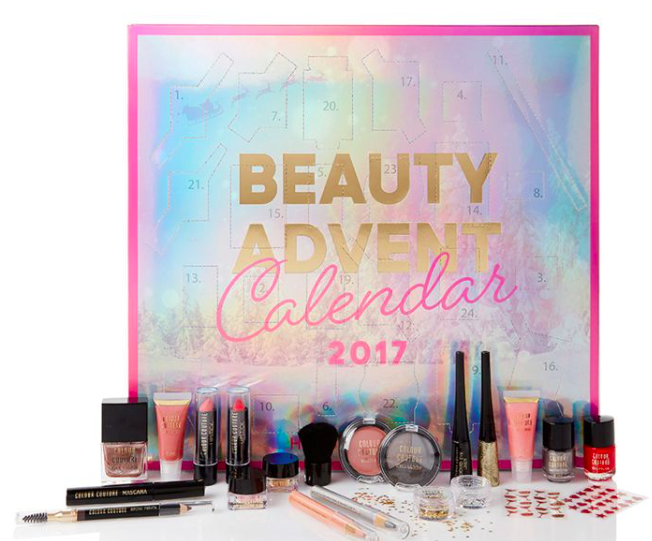 October seems to be flying by quicker than a blink of the eye leaving us with only 6 weeks until December, it seems appropriate to start thinking about which beauty advent calendars are hot for 2017. Some are already available in store or are about to be released, and judging by last year where some of them sold out very quickly, you’ll need to be poised at the ready to get the one that you really want. Below is a snapshot of this year’s favourites….enjoy! Charlotte is bringing the festive cheer back again this year with her Naughty and Nice Magic Box. 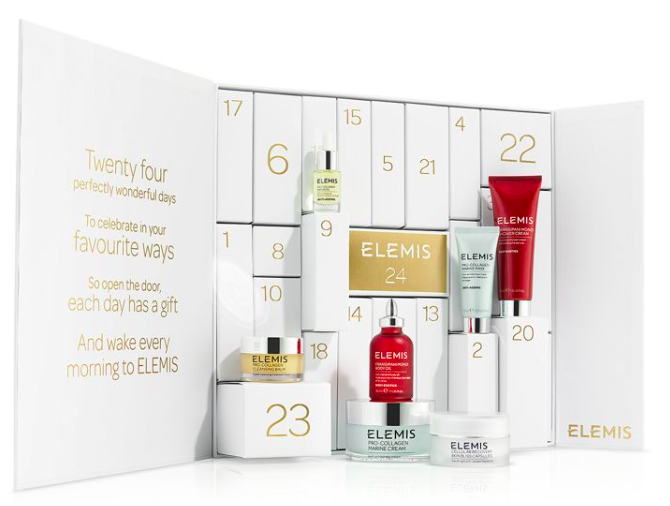 This 12 door calendar features some of the brands iconic items such as the Magic Cream moisturiser, which is amazing by the way, and Wonder Glow. There is a mixture of full size and travel size items, which is great if you want to try out some of her products without having to splurge. This is one of the most sought after calendars and will definitely not disappoint. This is the calendar that I’m most excited about as I missed the chance of getting last year’s one. 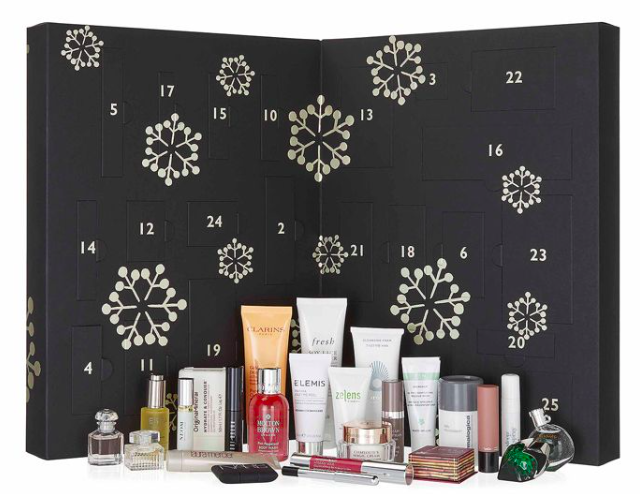 This calendar contains 24 of the brands most sought over items including the Midnight Recovery concentrate, Creme De Corps body lotion and the Facial Fuel Moisturiser. It’s released on October 19th and will most likely sell out fast. 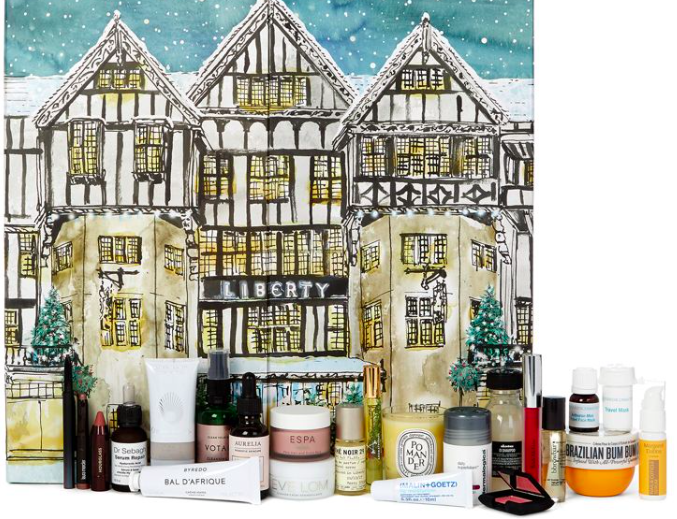 The Liberty advent calendar is packed with 15 full sized items from brands such as Diptyque, Dr Sebaugh and Le Labo. There’s also a pot of the Brazilian Bum Bum cream which is hands down the best skincare item I discovered this year. The Beauty in Wonderland calendar is hands down the most luxurious packaged calendar this year. With drawers filled with boxes containing 24 items, the countdown to Christmas has never been so exciting. Containing brands such as Redken, First Aid Beauty, Illamasque and Grow Gorgeous, there is a mixture of both full and travel sized products. Like last year there is one product which is exclusive to the box however I won’t give away the surprise. The box contents are worth around £300 so this is by far the best value for money. 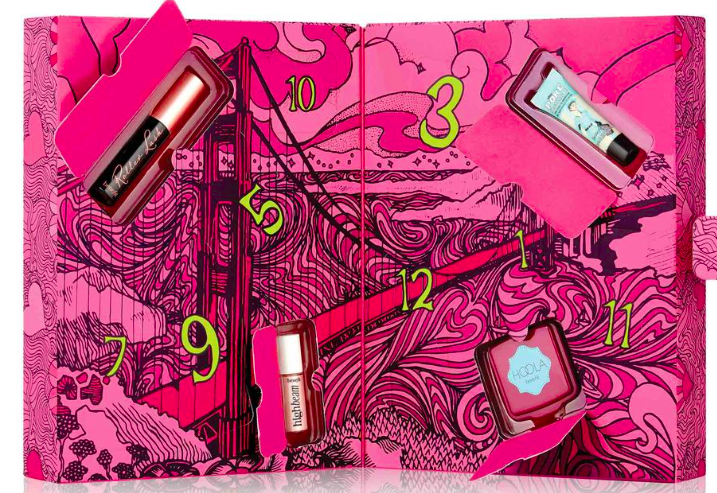 This 25 door calendar contains a mixture of beauty items from the HoF own brand ‘Colour Couture’. Glitter liners, blush, nail polish and the odd beauty tool feature to enable you to create both a day and evening look perfect for the party season. 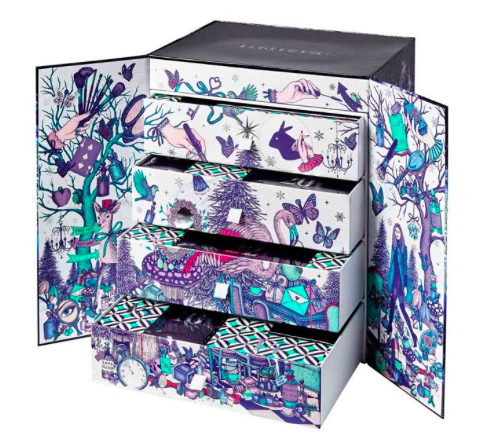 Birchbox have finally decided to release their first advent calendar which showcases a mixture of skin and body care, fragrance and beauty tools. There are 24 items in total, the majority being travel sized. A lot of the items have already been included in previous Birchboxes however there is the odd surprise and a good selection. 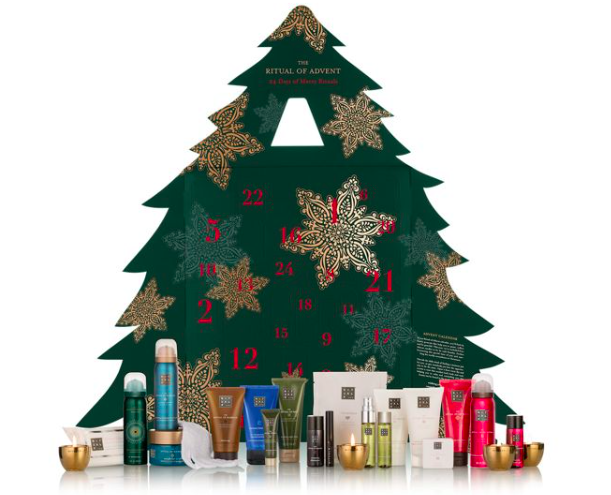 This is a 12 days of Christmas calendar featuring a selection of brands such as Elizabeth Arden, NYX and Rimmel. Included is an 8 shade eye palette enabling you to create a smokey eye as well as a neutral daytime look. With box contents worth over £319, you will find 24 of the brands hero products including a full size Pro-Collagen Marine Cream. This is the perfect way to experience the brand and by the end of the party season, you’ll have glowing radiant skin. Containing a mixture of 24 skin, hair and beauty items, they are held in individual adorable little boxes. There is a good selection of brands including Rosie, Emma Hardie, Eyeko and Stila. There are a few items which are a repeat from last year however you will most certainly discover something new which will be your go to product of 2018. 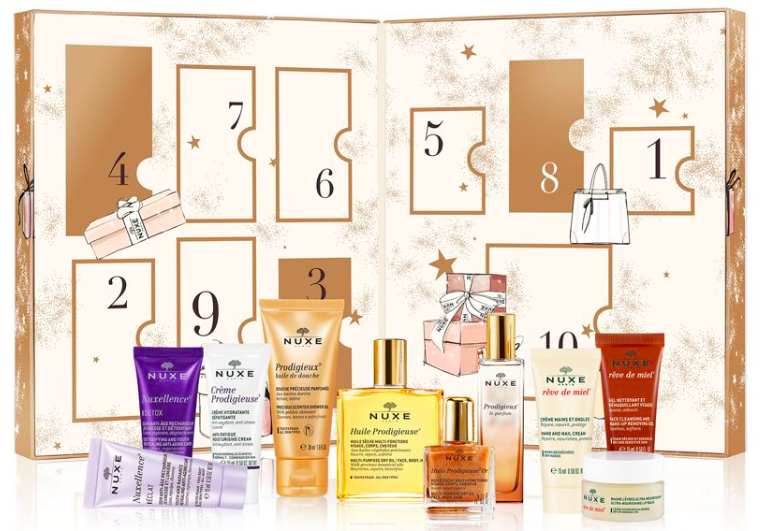 A new release for 2017, Nuxe have created their own calendar containing a selection of 12 luxurious skin and body care items, including Huile Prodigieuse, shower oil and moisturisers. 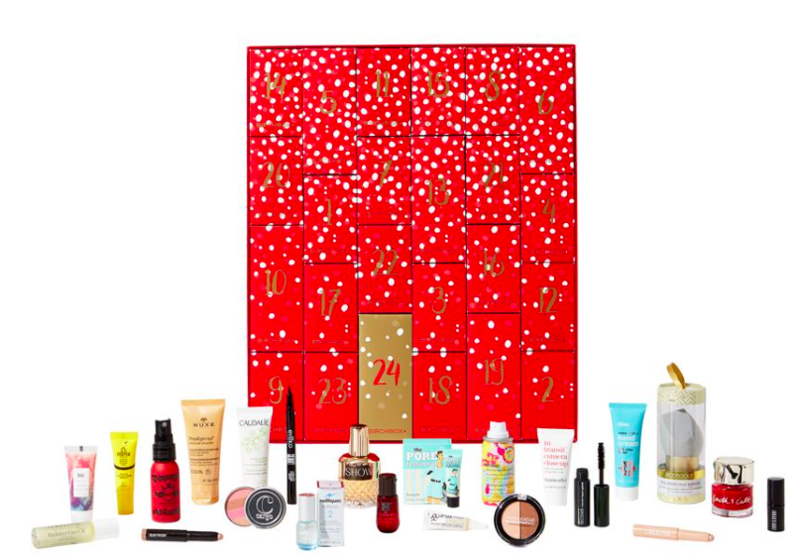 John Lewis has created an advent calendar which is brimming with your beauty and skincare heros. There are 25 items in total featuring brands such as Charlotte Tilbury, Nars, Elemis, Laura Mercier and Molton Brown. Bursting with 12 of Benefit’s most sought after items such as Roller Lash, POREfessional and Benetint. 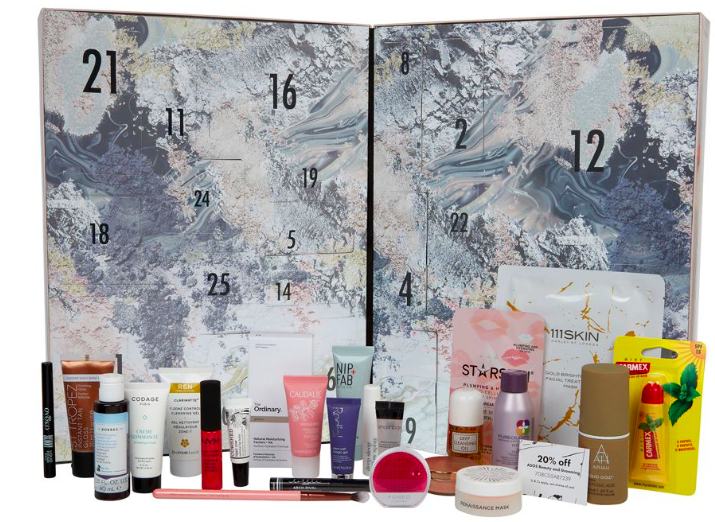 This calendar contains 24 of the brands best selling skincare items, including hot scrubs, shower gels and oils, body cream and hand lotions. It also contains 4 exclusive candles. The collection of items are perfect for the ultimate relaxation and pampering evening. The ASOS calendar is always one to look out for and this year does not disappoint. Calling all beauty lovers, this contains a selection of items from Starskin, The Ordinary, Smashbox, St Tropez and Rodial. This one definitely is a winner. Possibly THE most expensive calendar and has increased in price from last year, this calendar contains 24 luxurious items including candles, colognes and fragrances catering for both men and women. Not sure I could ever justify splurging this amount of money however. Let me know which beauty advent calendars are going to be on your wish list this year and which ones you’re most excited about. Remember to like and subscribe!! Ooh there were a good few on here that I hadn’t read about before! I’m desperate for the Estée Lauder companies one but I don’t know where it’s going to be on sale or when! And they’re only making 1000?! I had the M&S one last year and the Selfridges one before that but both were a little disappointing. I think if I can’t get the Estée Lauder one then is gonna be asos! It’s available at the end of October on http://www.esteelauder.co.uk Sign up now for updates and you’ll be alerted when it goes on sale…good luck! It looks fab.